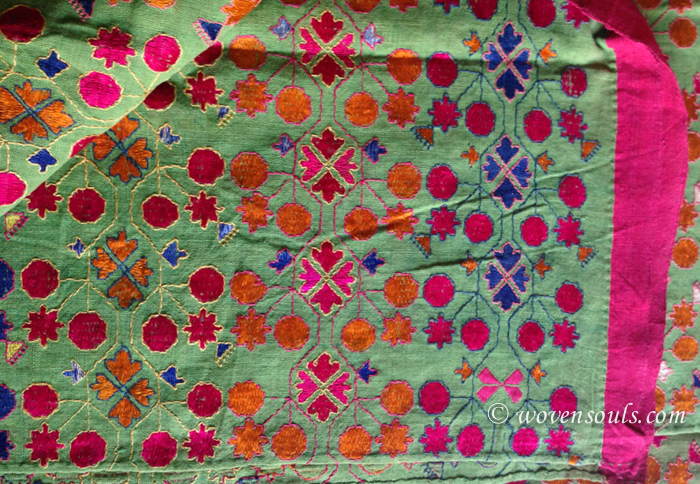 Rare green base in a Swat textile – the first ever in my experience! With silk so fine that it looks like it has been pasted or printed onto the base cloth! What a Song ! What a Poem! What a Textile! This entry was posted on March 11, 2015 by wovensouls in Art Kaleidoscope, DAILY ART FIX and tagged green swat shawl, HAZARA SHAWL, hazara textile, shawl of a thousand blooms, silk embroidery, Swat shawl, Swat textiles, thousand desires.